Greek islands are increasingly popular amongst travelers for their rich cuisine and picturesque landscapes. The largest of them, Crete, oozes gastronomic delights and cultural adventures. On a whim, I took a last-minute vacation (and my first solo trip!) to Chania and discovered its various unconventional corners. 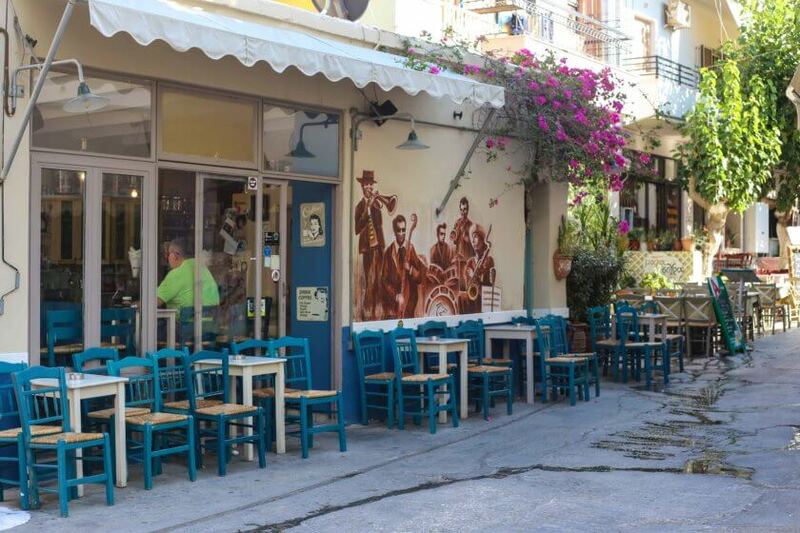 Here are ten alternative experiences you don’t want to miss out on in this Cretan town. If you like to Google your destination before you go like I do, you’ll find a certain image popping up when searching for Chania. Famous for its beautiful harbor, this is one of its most picturesque locations, filled with restaurants and shops (although usually touristy and not highly recommended) where foreigners and locals have their evening stroll. 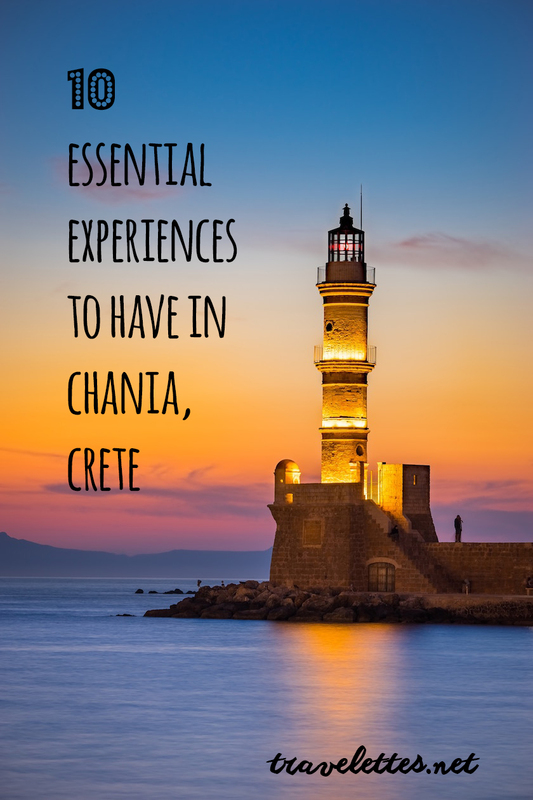 The best time to visit Chania’s harbor is just before sunset – when the sun colorfully hides behind the mountains and the lighthouse lights up the area. This mesmerizing sight is definitely a must. On the lookout for sunsets, being the island girl that I am chasing the sun, Falasarna beach was one of my favorite places. An hour west of Chania and on the edge of Crete, there is nothing blocking your view, just endless blue. 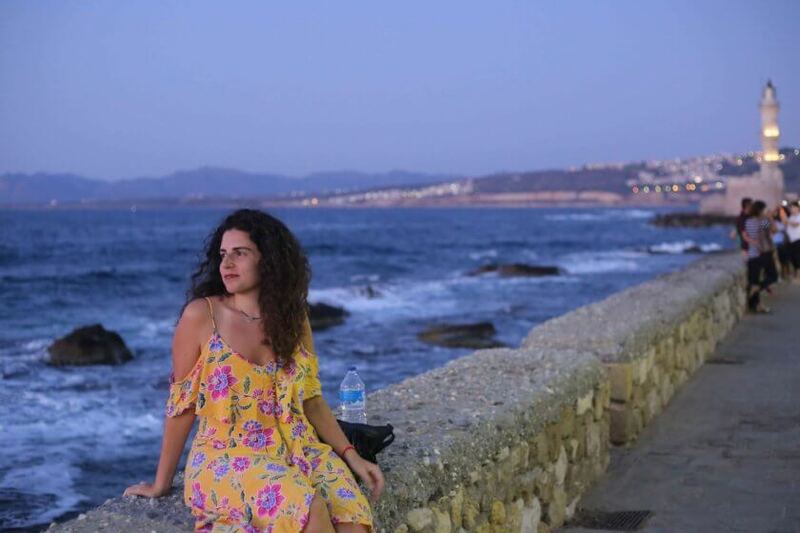 Here you’ll be completely enchanted as the sun dips into the Mediterranean sea and the sky welcomes pink and purple shades. 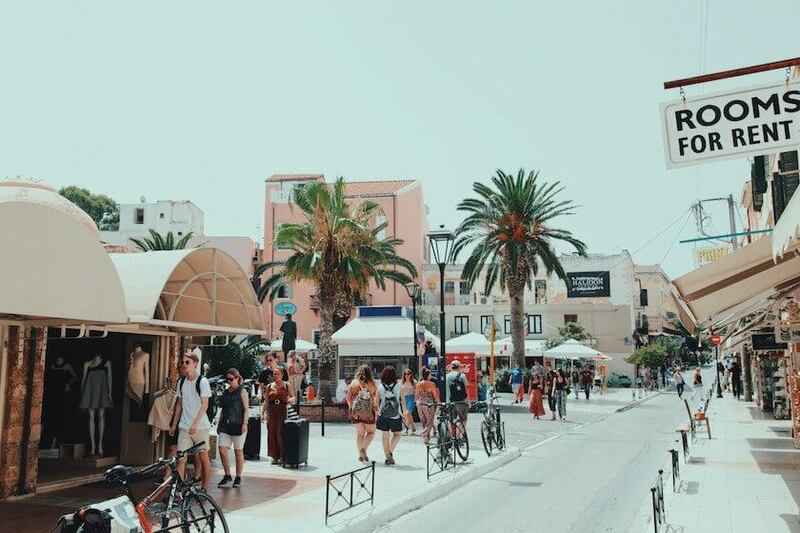 The well-organized and prompt bus schedule in Chania makes it effortless to navigate your way around. 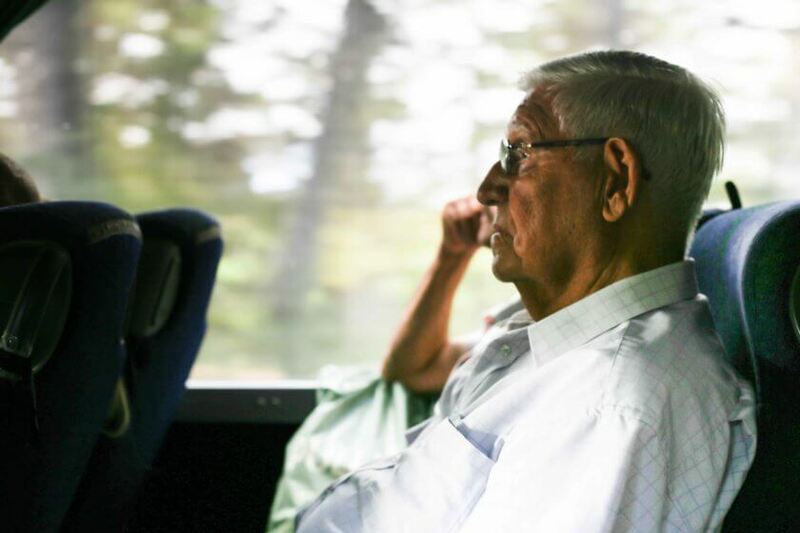 It’s an easy way to travel, with buses running frequently and relatively cheaply. Renting a car might be better value when with company, but bus journeys will prove to be quite the experience. Especially if you sit by a Cretan grandmother who enthusiastically gives you food recommendations. The village of Paleochora in the south/west of the island, is a small, long stretch of land surrounded by sea. This picturesque village with colorful streets and people is home to Selino castle, another ideal sunset spot. If you follow a grandmother’s advice, you’ll head to the seashore and sit at a tavern for fresh fish. Indulge in a Cretan salad drowned in local olive oil and mizithra cheese (Crete’s most known cheese) and some fresh fried kalamari. It is said that Cretan diet is one of the best in the world, so whether you order fried snails, stuffed pastries known as kalitsounia or dakos, you won’t be disappointed. And as you order the bill it’s guaranteed to hear the standard “dessert on the house for one” as local raki and halvas arrive. 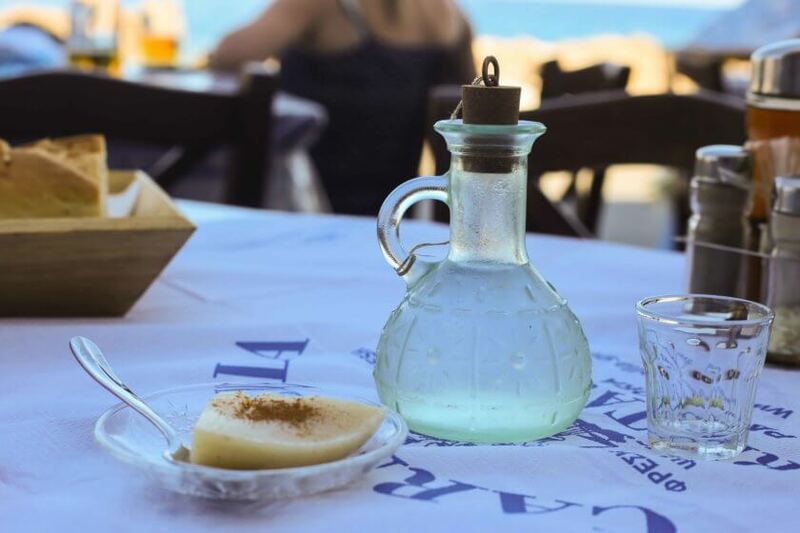 A daily consumption of raki becomes a habit as it’s usually served after meals in taverns. Visting Elos village (south/west of Chania) where the famous local honey raki is produced (rakomelo), you’ll hear the locals refer to it as tsikoudia, the original and local word for it. ‘Raki’ is actually Turkish for ouzo. So Turks refer to ouzo as raki, Cretans call raki, tsikoudia and the rest call ouzo, ouzo and raki, raki. A bit confusing isn’t it? Still, it’s delicious and will wash down that meal. On a hunt for places to see beyond the town of Chania and its tourist hot spots, I took a bus to Kavros village to visit the mountain lake of the same name. 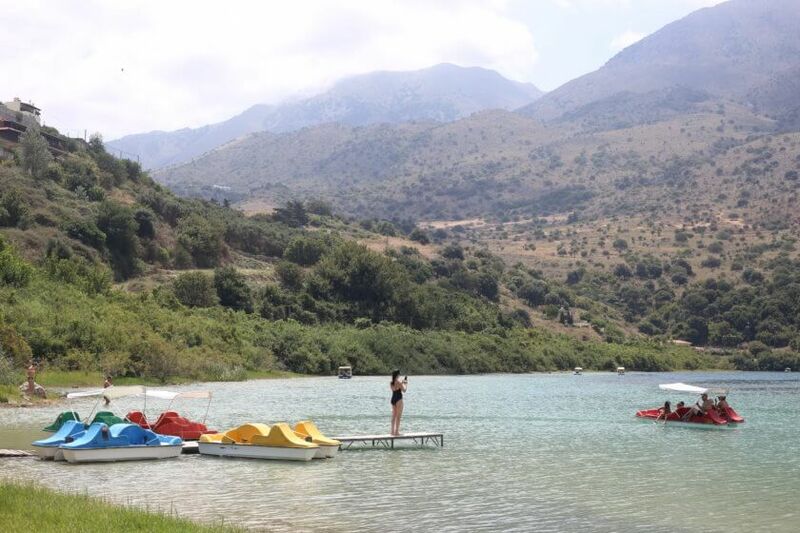 Beautiful turquoise waters with a backdrop of green mountains, Lake Kournas is visited only by the most intrepid travelers. Rental pedal boats are found everywhere and are an adventurous way to see and photograph all corners of the lake. This stunning site of natural scenery is a lesser known destination that’s certainly worth visiting. The village next to Lake Kournas, Georgoupoli, is a small, local town that hosts a unique gem: Ayios Nikolaos chapel. 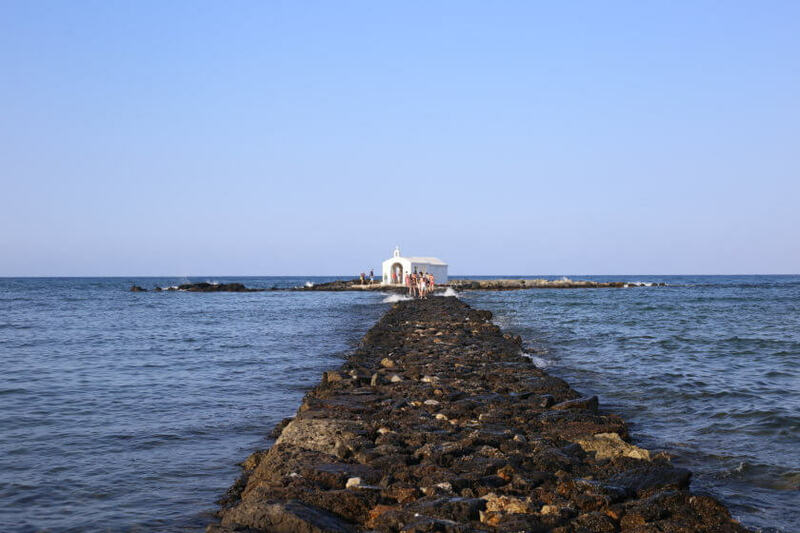 The chapel is located in the middle of the sea, accessible via a pebbly path from the shore. Named after the patron of sailors, this small church is popular for weddings and is one of the most photographed locations on Crete. Crossing the path is an experience on its own as it’s rocky, slippery and full of crabs. Sensible footwear is recommended! “You can’t say you’ve been to Chania if you haven’t tried Bougatsa Iordanis”, is a phrase I heard often from the locals. Bougatsa, a traditional Greek filo pastry, usually has a sweet filling. 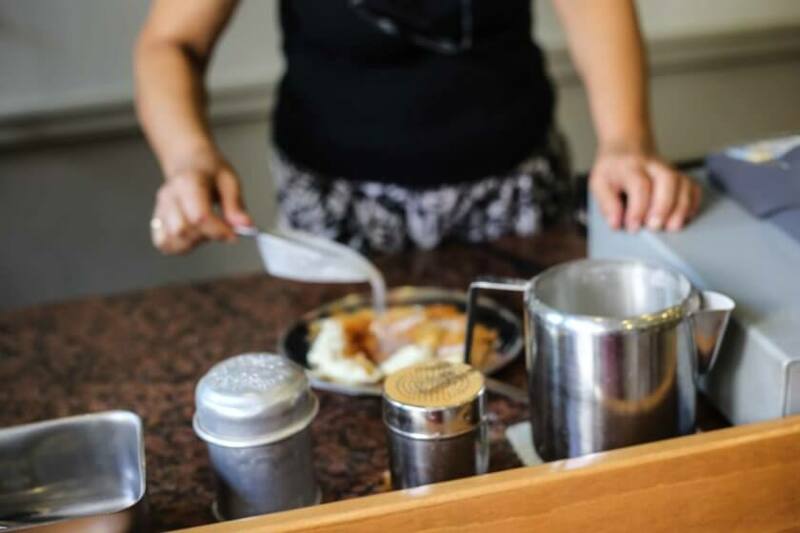 At Iordanis’ family bakery in Chania, operating since 1924, bougatsa is prepared with local mizithra and served with sprinkles of sugar and cinnamon, which sets it apart and makes it the perfect coffee treat. Famous among locals and foreigners, this bakery serves nothing else but their unique bougatsa. The old town of Chania is a charming maze with a myriad of small streets bursting with colors, traditional houses, shops, restaurants and bars. Getting lost in this maze is a memorable way to discover its hidden treasures and Venetian architecture. A real treat for photographers! A hike down Samaria gorge is a popular adventure to see untouched nature and Crete’s famous kri-kri mountain goats. Although shy, they are strong animals and it’s recommended not to feed them as they can approach quickly with their curved horns. What’s special about this trail though is that it ends at Agia Roumeli village, a remote place only accessible via the trail or by boat. There is no road leading to the village, giving it a sheltered yet strong sense of character waiting to be explored. 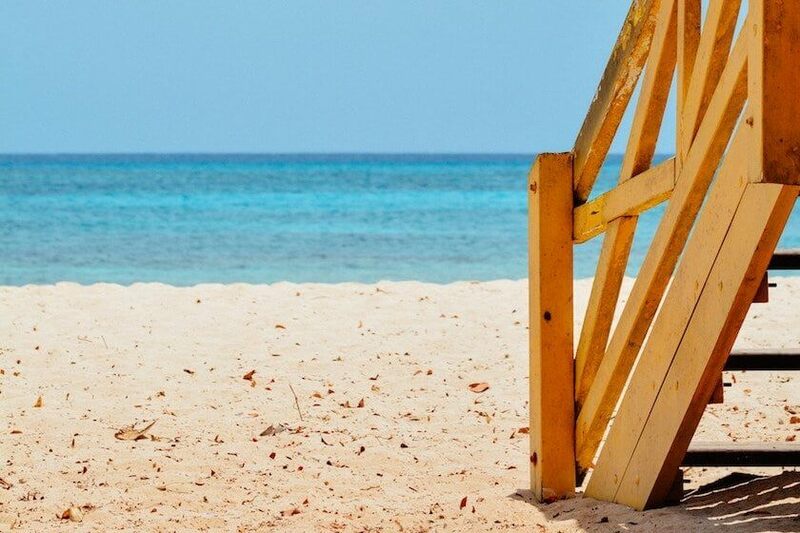 Chania offers a variety of accommodation even off-season for both adventurous travelers and those who wish to relax by the shore. Stay at the hip and urban Cocoon City Hostel in the center of town and indulge in its stylish rooms and organized activities. The staff is friendly and helpful with recommendations and local tips. 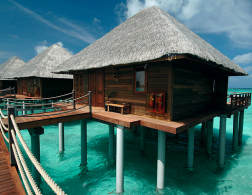 Its reasonably cheap prices appeal to travelers from all walks of life. For a more private environment, this stylish airbnb is away from the crowds, 4km from Chania’s center. The colorful house gives off an island-vibe and sits on a golden, sandy beach. Host Nantia equips the airbnb with fresh towels and linen (a plus for every traveler) and a free city guide. Ideal for nature lovers seeking a less busy location. Doge Hotel is a merging of tradition and Cretan hospitality with their dark wood furnishings and stone walls. In the heart of the old town, it’s a 10 minute walk to the beach and a luxurious yet still local experience. 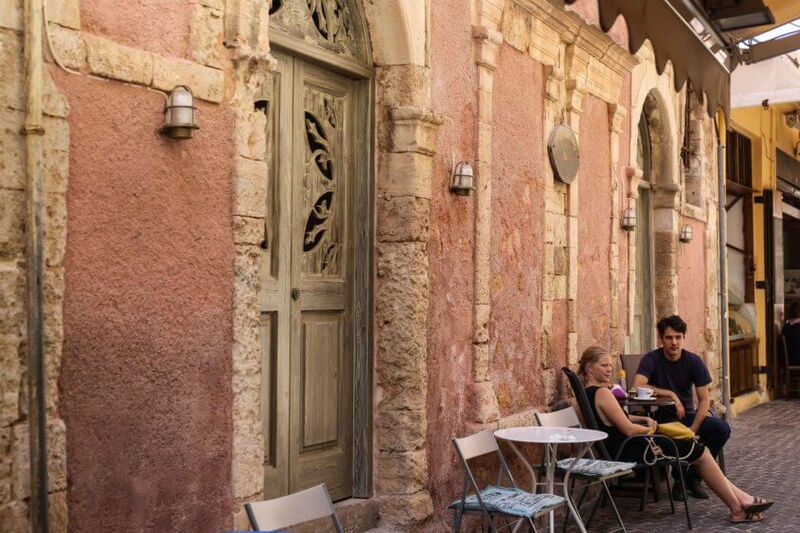 With a myriad of cultural experiences, Chania has a welcoming spirit. Whether it’s the beautiful old neighbourhood or the music in the streets that draws you in, the kindness and hospitality of the locals will win you over. 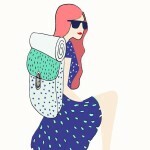 This is a guest post by Eleni Philippou. All photos by Eleni Philippou, except photo 1, 2 and 10. 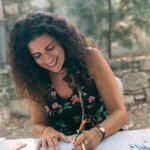 Eleni Philippou is a freelance writer/photographer and blogger who gets a kick out of uncovering new lands and cultures. 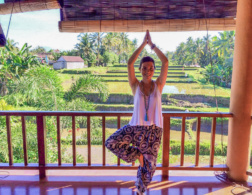 Her blog usually covers new cultural trends, personal experiences and travel adventures. She’s intrigued by the marriage of text and imagery and so seeks more ways to practise writing and photography. 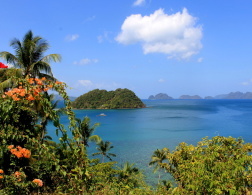 An islander at heart, she yearns to explore the unfamiliar, the ordinary and the peculiar. Follow her journey here. Chania seems like the perfect place to get lost in. Everything looks so vibrant!